WOMEN PALACE SHOES 10 "
a pair of shoes but different colors.. This is one of the sellers that confuse 18th century with 1800's. However, I'm leaning to the 18th Century on these shoes due to the toe decorations. Ottoman? Hmmmm, I think not. They look definitely Indian to me. 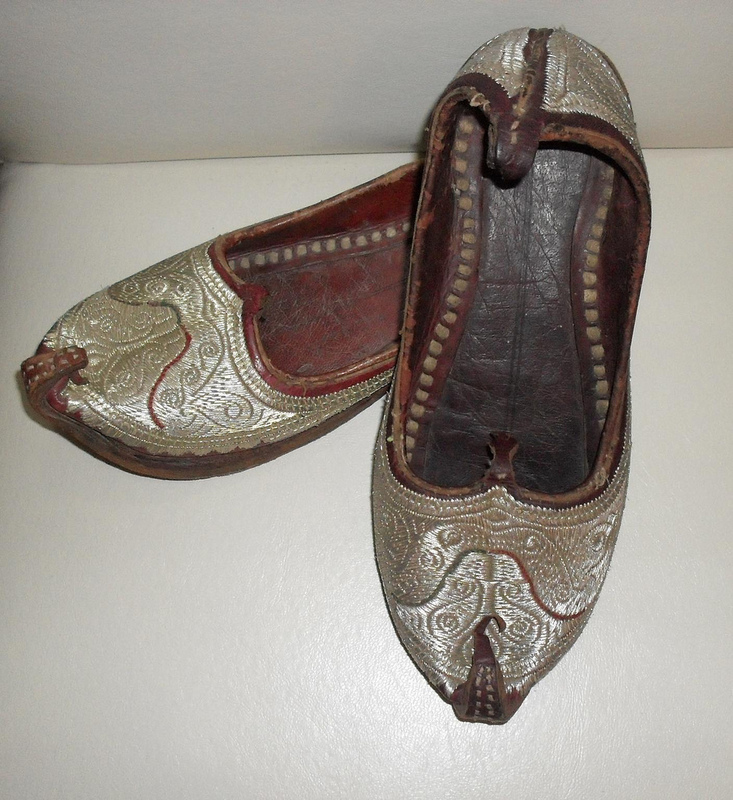 They're called Khussa shoes, and I have some contemporary ones that look almost exactly like them. One thing I ask of individuals who do not agree with my analysis is that they provide evidence of their own. Although you have not done that, here are some examples backing up my point. 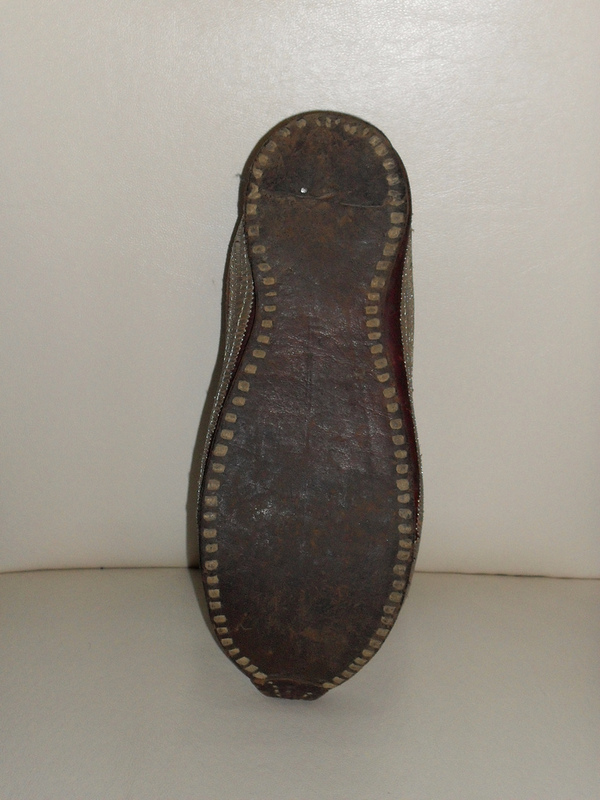 The shoes I posted do not have a left/right last (ie, the shoes are not made to be for one specific foot) which was common in the Europe and the Middle East in the 18th Century. If you enlarge the photo and zoom in on the lady, you can see her shoes are very similar as well - again, without the curly que. 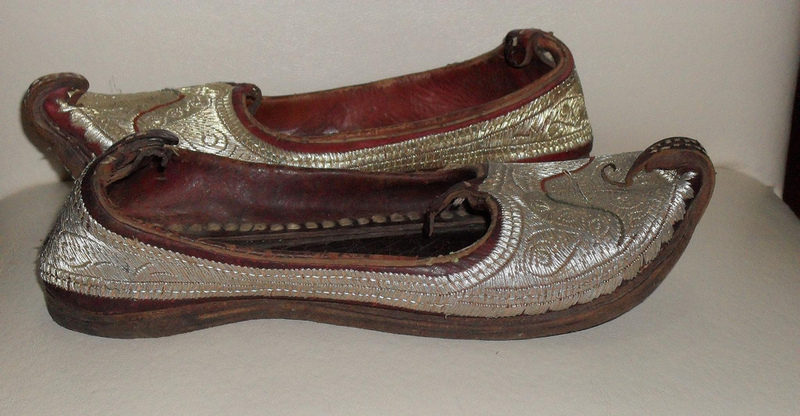 http://world4.eu/ancient-egypt-shoes/ <- This is just evidence this style is hardly a new idea at all. Shoes 2 and 3 are very similar again and are about 2,500 years old. There are many, many others. Shoes don't change nearly as much as other aspects of fashion - and often, shoe styles come back later on. So, although you may have a similar pair (with a left and a right, probably) from India, that does not in anyway mean that these aren't 18th Century Ottoman.